Living On Food Banks relies on donations from viewers who have the monetary funds to do so. 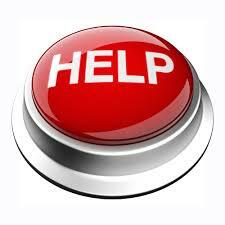 This website was set up to help those who are finding themselves in a financial crises. It is a cushion to make the present fall less painful. Should you feel it in your heart, please help others by keeping this site alive and functioning - no donation is too small; may God bless! You may also click on the Free Cell Phone and Avon icons. These are my own personally operated store fronts that help keep this site growing. Despite a new found economic loss, you can earn some revenue on the side while you wait for the economy pick up. Never feel hopeless, as the Internet provides ample opportunities to make some much needed cash. Avon is a reasonable business to begin that will offer a bit of cash on the side. Start up costs are only $10.00 and if you have family, friends, or co-workers you have an instant base. 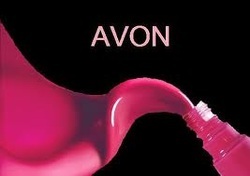 All you need to do is log onto: Start My Avon Business and enter the reference code: vbourbour. From there, you will find online tutorials that will walk you through every question that may transpire. You will receive a FREE website and all you have to do is sign up interested parties via email. From there, Avon does all the work sending out bi-weekly brochures. Customers link on your site, order, and receive FREE shipping on designated specials or can choose the "FREE Delivery" where you deliver and collect funds. There isn't much of an investment here except a bit of your time. Here's a wonderful opportunity with no start up costs. Do you have a cell phone? Then others in your family are owners, too. Why not offer your own personal storefront selling cell phones? All you have to do is get interested parties to log onto your site, order, and TMI does the rest! You can receive up to $50 for EACH cellphone plan purchased! Just log onto: Start My Own Cell Phone Business and TMI will give you a free website to host the most up-to-date cell phones available, which most are FREE! Simply send this link to family and friends and instead of the Mall gaining their business, you will from now on. Check on my link to see how TMI sets up your personal site. You do not have to be computer savvy to do this. Time to go through your house and get rid of the Clutter Dragon. At the same time, you can make some extra cash, too. If you locate a few items that can be easily shipped, then begin your own FREE eBay account today. Simply log onto Start My Own Ebay business and feel the relief of taking control of your finances again. amazed at how much some of your unwanted items will sell for when you begin your first auctions. At the same time you'll feel relieved that you can make some cash that doesn't require a paycheck. shelves. How many are there? Kitchen cookbooks, children's books, business books, college books, and simple free reading materials adorn your shelves probably not being opened for some time. 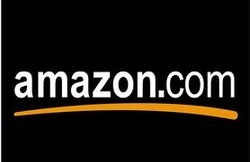 Why not open your own FREE Sell My Books account on Amazon? Once you do, all you have to do is log in those ISBN numbers and see how much those dusty covers can bring in! There is even printing for your shipping labels so all you have to do is drop them in your nearest post office letter drop when packaged! Now at some point you've come across items that are just too big to ship or be sent through a small available letter slot. For those large items, don't despair. There is Craigslist. 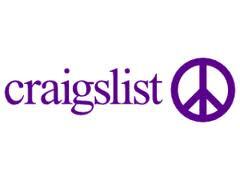 Craigslist is a national site that offers local sellers the opportunity to sell in their community with FREE listing. Just open up a Sell My LARGE Stuff account on their website. Simply click on your closest city and log in your information to begin. There you can load pictures and give added information concerning your product. Buyers can contact you via email, or if you leave your phone number in the ad, immediately by phone. If you are worried about individuals coming to your house, just pick a meeting point at a local shopping store front, and share your wares. 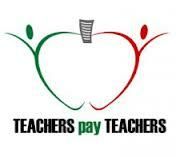 Teachers Pay Teachers is an excellent resource site to make much needed cash if you are an educator or retired teacher. I began using this site three years ago placing lesson plans and ideas I utilized in my classroom. Once the items were posted, other teachers from around the world would purchase my items. What began as a slow tricking enterprise has blossomed into a reputable income source. Please use above link when you sign up as proceeds help keep this sight alive and well. Teachers Pay Teachers is an excellent resource site to make much needed cash if you are an educator or retired teacher. I began using this site three years ago placing lesson plans and ideas I utilized in my classroom. Once the items were posted, other teachers from around the world would purchase my items. What began as a slow tricking enterprise has blossomed into a reputable income source. Please use above link when you sign up as proceeds help keep this sight alive and well.